This was a question that came up in my Facebook group a while ago and I knew I wanted to write about the answer here. I think this is an important question because the terms often get used interchangeably and they aren’t. They each have a specific definition that we should be familiar with. 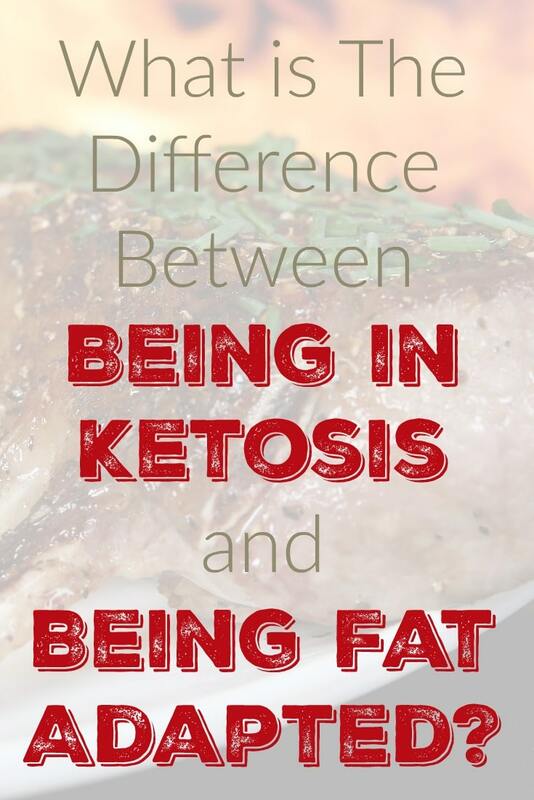 Being “in Ketosis” simply means that you are producing ketones. 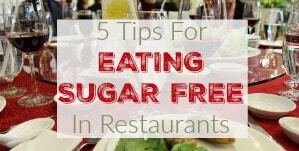 You have not eaten carbs or fasted to the point where your body used up enough of its store of blood sugar that it needed to convert fatty acids to ketones to supply the brain and red blood cells with a source of energy besides sugar. The nice thing about being in ketosis is it is something measurable. In other words, you can use a ketone testing strip or blood or breath meter to measure the amount of ketones being produced. If ketones show up at any level on the test, you are in ketosis. 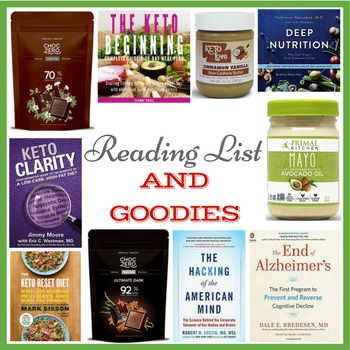 Here is more information about how to get into ketosis and my personal journey with the Ketogenic diet. Being “fat adapted” is a little more nebulous. It just means that you have the ability to burn fat for fuel, not necessarily that you are currently burning fat for fuel. Think of it as a hybrid car that can switch between regular gas and diesel. Once you are fat adapted, your mitochondria can easily switch between sugar and fat for fuel. 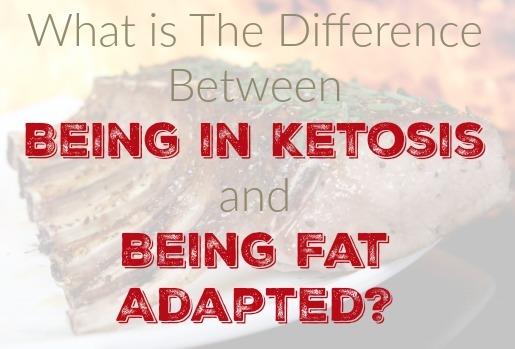 There’s no easy test to determine if you are fat adapted but one thing you can do to get an idea is after eating a few carbs, see how long it takes for you to begin producing ketones again. 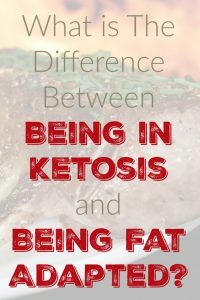 The faster you get back into ketosis, to more fat adapted you probably are. 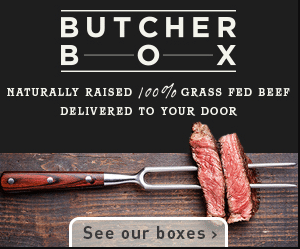 The big takeaway here is ketosis is a bit more ephemeral than you would think. 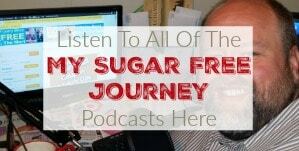 Sometimes you are producing ketones, sometimes you aren’t and that can be affected by almost anything from stress, to sleep, to the last thing you ate. Being fat adapted is a much more permanent state and should be the goal of your diet and lifestyle choices, especially when it comes to weight loss. 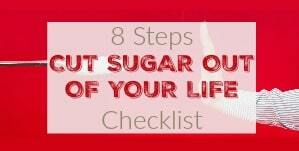 Being capable of pulling energy out of fat stores and burning it for energy instead of relying on constant infusions of blood glucose for energy is the secret to losing weight with stable moods and no hunger. I am certainly not saying you shouldn’t try to be in ketosis, that is the natural result of cutting your carbs and upping your fat. But I am saying that you shouldn’t stress about ketone levels on a pee stick. 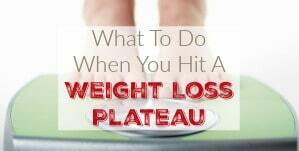 You should get yourself into a fat burning state and stay there. If you have a cheat day or a high-stress day and the ketones aren’t there, that’s fine. Get back on the horse, get back to the point where you are burning fat for fuel instead of sugar and keep going. 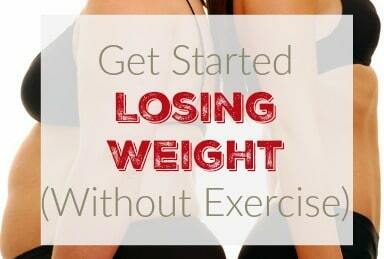 What are some of the ways you know you are burning fat for fuel? Let me know in the comments below!